There are a few prerequisites when considering a trip to Boston. First, don't go in February. This may seem obvious, but it bears repeating, not only because the winters are indeed so miserable, but because the other seasons are so immensely enjoyable. Spring and Fall are gloriously verdant and the summers are breezy and temperate. Second, plan to visit at least some of the same sites you would if you were chaperoning an 8th-grade civics class. You are, after all, in Boston, the City on the Hill, the Cradle of Liberty, and so on and so forth, thus there's no point or pride in avoiding historic landmarks. Conveniently, many are nestled among the city's most beautiful neighborhoods, areas with cobblestone streets and colonial-era architecture that you would want to wander even if you didn't feel obligated to do so. And third, don't compare it to New York City, at least not unfavorably. Bostonians spend considerable energy trying to prove their city is not inferior to Manhattan, whether in national influence, cultural offerings or American League baseball franchises. The truth is, Boston is not at all like New York, and that's a good thing. The largest city in New England is compact, clean and easily navigable. With a population of only 600,000, Boston is best appreciated as a small city with a hyper-educated populace, an astonishing number of Dunkin' Donuts, and an artistic and historical importance far surpassing its relative size. Here are some ways to weave the past with the present. 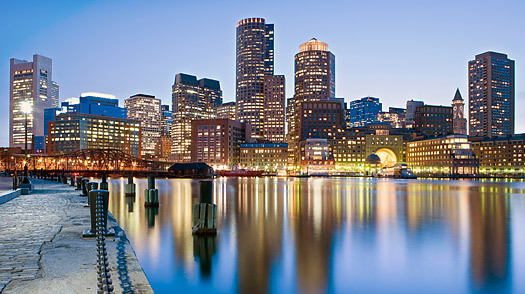 Boston Guide: Find travel deals, hotels and more!